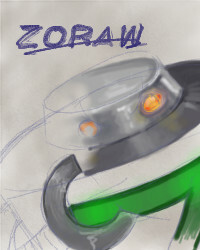 Zoraw is awesome by definition. xD zoraw? :D wooooohhhh flippin' wiggin'! lol at dave XD zorraw, zorro, someone should make zoraw with a cape, hat, eye mask, and a sword and call him Zorrow! but it was good :D <3 <3 <3 <3 couldn't have done it without ya.